Just out of interest this page collects short biographies of the people who plants are named after. If you have anything to add to these biographies, or can fill in a story behind a plant name that I have overlooked, then I’d be glad to hear from you so the information can be added. Olive Bailey Langdon was the 4th President of the American Hosta Society. She was born in Alabama and served from 1985 to 1989. Hosta ‘Olive Bailey Langdon’ was named in her honour by Russ O’hara Hosta Society. She also maintained an interest in Iris and Hemerocallis. Armand David ( 1826-1900 ), known as Pere David, was born in France and after being ordained, travelled to China to become a missionary. He had a great fondness for zoology and botany and whilst in China collected extensively for a museum of Natural History. He collected many animals and plants that were new at the time to science, with many specimens being sent back to the West at the request of the French government. 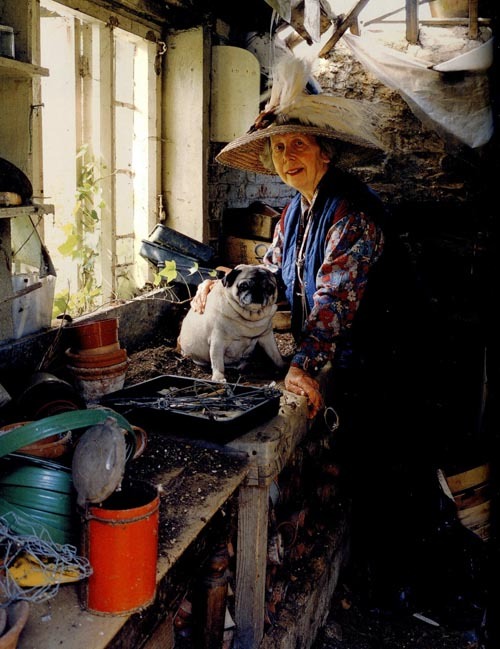 Valerie Finnis ( 1926-2006) was a well known British gardener and photographer. She was associated with Waterperry Horticultural School for Women for 28 years. In 1990 she set up the Merlin Trust, named after her husband’s son Merlin who was killed in the second world war, aged 22. The Merlin Trust assists young horticulturists to travel and gain experience. Canon James Went (1845-1936). Canon Went was the highly regarded headmaster of Wyggeston Hospital Boys’ School in Leicester where he held the position for 43 years. He is not noted as a great gardener, so the Linariathat bears his name was probably named in his honour by someone who knew him. Frances Ropes Williams (1883 -1969). Born in Winchester, Massachusetts, Frances Williams grew to be one of the most influential woman in modern Hosta history. She noticed Hosta ‘Frances Williams’ as a sport of Hosta sieboldiana in Bristol Nursery in Connecticut. It was named in her honour by George Robinson. Ellen Ann Willmott (1858-1934) was a well respected Botanist, Horticulturist and writer. 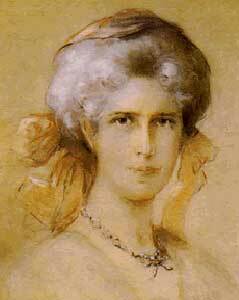 She was a member of the Royal Horticultural Society, and a recipient of the first Victoria Medal of Honour in 1897. She gardened at Warley Place in Essex. Also known as Wu Zhao, Tian Hou and in English as Empress Consort Wu, or Empress Wu ( 625-705 ). As well as having a long political career, Empress Wu is best known for being the only woman on record as having ruled China in her own right.